Increase employee engagement in safety using leading indicator metrics. 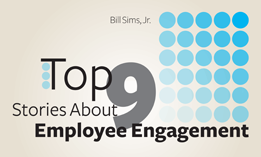 Change behavior, increase employee engagement and lower operating costs. Award of Excellence motivates employees with great incentives, including the hottest brands and newest technology. Join us as we travel around the world and discusse effective techniques to increase employee engagement.